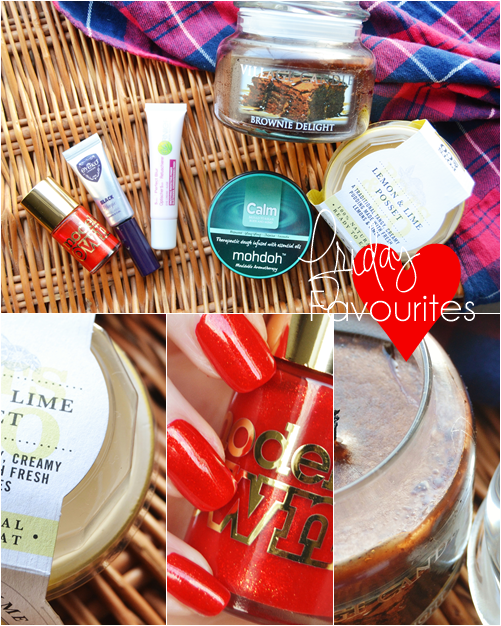 Friday again and I'm back with my round-up of favourites for the week - a nice mix of beauty and lifestyle products. 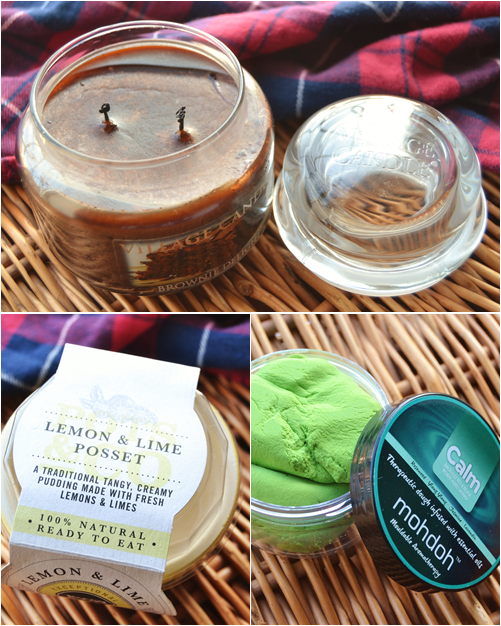 This week I've been all about yummy things with a new favourite indulgent dessert and a candle that I just can't get over, seriously the best candle I've ever burnt. 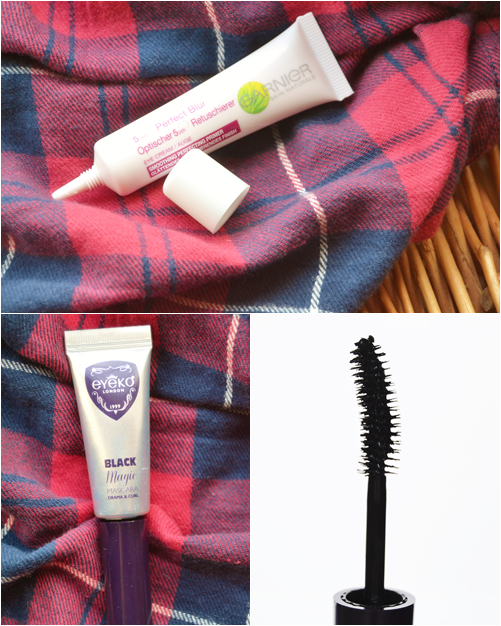 As for makeup I've been keeping it minimal this week mainly relying on eye products with a great new all over eye primer and a slightly long lost mascara! First up my new favourite all-singing all-dancing eye primer. This ticks all the boxes for me as it blurs fine lines, reduces the look of dark circles/tiredness and also acts as a base for makeup under the eye and on the lids making concealer and eyeshadows apply nicely and stay on for longer. The light silicone formula just smoothes over the eye without balling up or flaking and just peps everything up whilst also acting as an eyeshadow primer. I really couldn't ask for more in an eye primer.The only thing is I'd be curious to see how this compares to the Garnier 5 Second Perfect Blur Primer as it's double the volume for the same price and of course can be worn all over the face. A few months ago I received this mascara in a beauty box but actually put it to one side as the formula was just too wet for my liking and messy to apply. Then when recently organising I stumbled across it and noticed how the formula had slightly thickened which prompted me to give it another go. With the thicker formula that isn't wet I've been finding it so much nicer to use and just loving the curling effect it has due to the curved brush. Also the volume it gives it just the right amount to avoid spidery lashes. For the full 8ml size the price is a steep £18 which I know I wouldn't pay however for the duo black and blue set it is a little cheaper at £15. A total favourite but Eyeko definitely need to bring their prices down. Since featuring this candle in a wish list post at the beginning of the week I feel like I haven't stopped raving about it! Before the wish list post had gone live I'd gone and purchased it because I couldn't resist it any longer. Then since receiving it in the post I haven't stopped burning it. I love all baked goods candles for their yummy scents but this is just out of this world... like actual chocolate brownies baking in the oven. Just amazing! Recently I've realised that even though I'm still dieting the odd treat won't hurt and this week I discovered an amazing new range of desserts that come in pretty ceramic ramekins (that you can re-use). I've only tried two desserts from the range so far with my favourite being the Lemon & Lime Posset. The dessert is both indulgent with it's smooth creamy texture but also refreshing and zingy with the lemon and lime flavour. I would normally opt for a more chocolate-y dessert if I was having one but this just surpasses all supermarket desserts I've tried in the past. If you are looking for something indulgent or to impress guests with then I'd very much recommend these. A slightly obscure favourite here with something that been helping my low level anxiety recently as well as my difficultly getting to sleep at night. This is basically a less mouldable form of Playdoh that's infused with calming aromatherapy oils such as lavender and ylang ylang. I know one of the best ways to calm the mind when anxiety/racing thoughts are happening is distraction and this does exactly that. Simply playing with the dough is enough to make me tired in bed or to reduce anxiety... I'm even tempted to take it on the plane with me when I go on holiday next! Also as the dough isn't overly pliable, kneading the dough takes a bit of force which relieves tension, plus this also releases the calming oils. Last favourite for this week has to go to my favourite shade in the new Models Own Diamond Luxe collection. 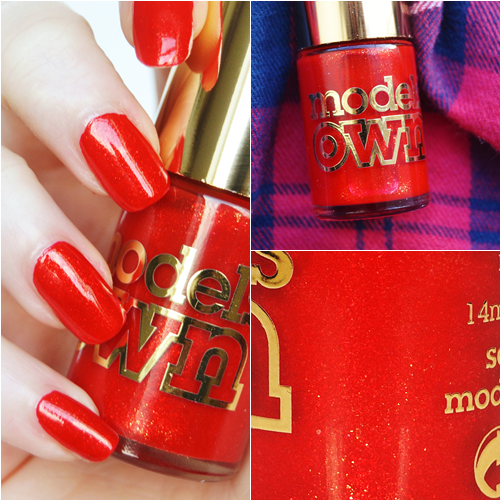 The vivid red shade with micro gold glitter/shimmer is something I could see Dorothy from the Wizard of Oz wearing on her nails - just so fun and bright. Sadly the nail swatches don't show up the micro glitter that's suspended within the nail polish that is so stunning on the nails. Love, love, love this! Launches in Superdrug stores Sept 20th and Boots stores Sept 24th. Hope you've enjoyed my favourites for this week and all have a lovely weekend.